After focusing on Internet 4.0 for the past three years, Chinaplas is seeing the rise of circular economy in the industry. “We’ve been aware of circular economy for some time. As early as 2011, we launched the ‘Bioplastics Zone’, introducing biodegradable plastics and bio-based plastics,” says Ada Leung, GM of Chinaplas show organizer Adsale Exhibition Services. The core of circular economy is the efficient use and recycling of resources, and plastic waste recycling is an indispensable part. It is predicted that by 2025, China, one of the world’s largest waste plastics recycling countries, will produce urban solid waste amounting to nearly a quarter of the world’s total. By improving the recycling rate of waste plastics, the development of a circular economy can be greatly promoted. While the market is huge, raw materials are scarce. In 2017, China launched the “Implementation Plan on Advancing Reform of the Administration System on Import of Solid Wastes through Prohibiting Import of Foreign Rubbish”. After the ban on the import of household waste plastics at the end of 2017, industrial source waste plastics will also be completely banned by the end of 2018. Waste plastics imported into China reportedly amounted to 7.3 million tons in 2016. Worth US$3.7 billion, it accounted for 56% of the world’s total imports of waste plastics. In the past, the waste processing and recycling industry relied heavily on imports, lacking a complete recycling chain, while recycling rate and proportion of large-scale recycling are both low. With the implementation of the ban, it is bound to intensify the shortage of raw materials, and the recycling system of renewable resources is in urgent need of change. The entire chain of garbage classification, waste collection and treatment, recycling and reuse has yet to be fully established. Supported by the Chinese government’s policy, as well as “Internet of Things & smart recycling”, technologies are being disseminated quickly. 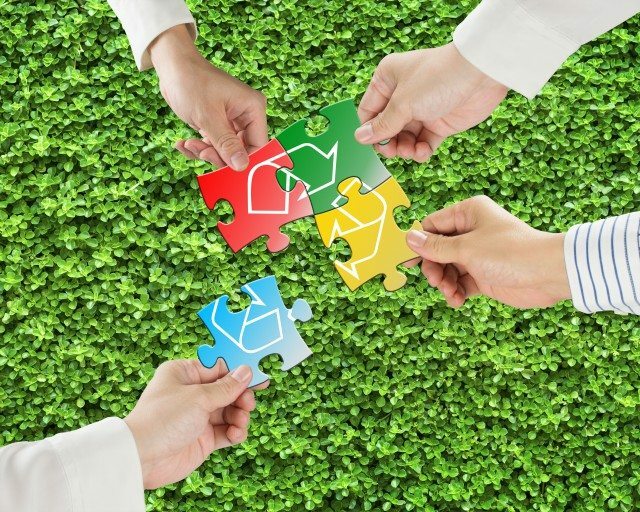 Among intelligent waste separation and recycling enterprises, Xiaohuanggou Environmental Protection Technology is realizing the model of classified recycling of domestic garbage at the front-end, unified transportation in the middle, and centralized treatment at the back-end. In addition, a group of outstanding enterprises in the recycling industry, such as Huge Recycle, Lumao, iXiandou, Qianniao and Zhangyuhuishou are also working into the front and back ends in recycling to improve efficiency through the Internet. More will be discussed and solutions showcased at Chinaplas 2019, with the Recycling Technology Zone, and the Plastics Recycling, Recovery & Sustainability Conference. The show will be held at China Import and Export Complex, Pazhou, Guangzhou, from May 21-24, 2019. About 3,400 exhibitors are expected to be at the show with at least 180,000 trade visitors from 150 countries and regions.